The driver takes you to the market and one of the parks and waits for your return. 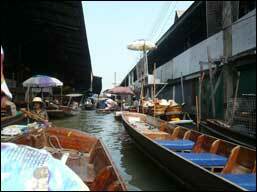 This trip starts early in the morning in order to reach the Damnoen Saduak Floating market around 9am. 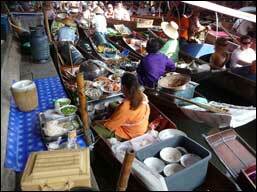 The floating market starts early and closes at the end of the morning. 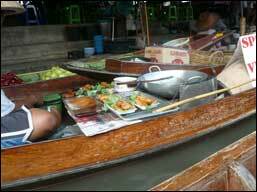 This floating market already exists for many, many years. Originally it was a fresh market on the water where people living at the canals could buy their fresh vegetables, fruits and cooked food. Some boats still sell food but now, although a lot of them are selling all kinds of things. Take a boat ride on the canals and be part of the market. Strong people can help you to get into the boat. Peddle along the quays and look at what is for sale. In case you don't like to get lifted you can wheel around along the canal and visit the shops on the quay. If you have an appetite try the noodle soup from one of the boats. 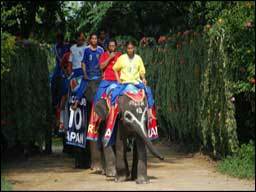 Afterwards the driver takes you to Samphran Elephant Park or Samphran Riverside. 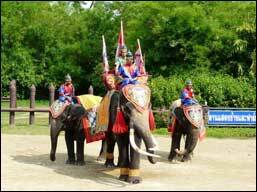 In Sampran Elephant Park you can watch elephants performing in show and crocodiles handled by their keepers. Or have your picture taken with tigers. In Sampran Riverside you can relax, enjoy the view and have lunch. Stroll along the lanes with Thai wooden houses on stilts and through the tropical gardens with orchids and bananas trees etc. In the afternoon there are two shows; an elephant show and a cultural show. 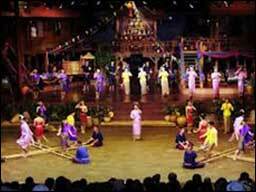 The cultural show presents ordinary Thai life like a Thai wedding or a boy becoming a monk, etc. It's very colourful and really brings Thai living alive. At 4pm the driver takes you home. You will arrive in Hua Hin around 7pm. Excluded entrance fees, boat ride, meals, personal expenses, etc.